The Albion Quartet is a relatively new quartet of immense talent and experience. 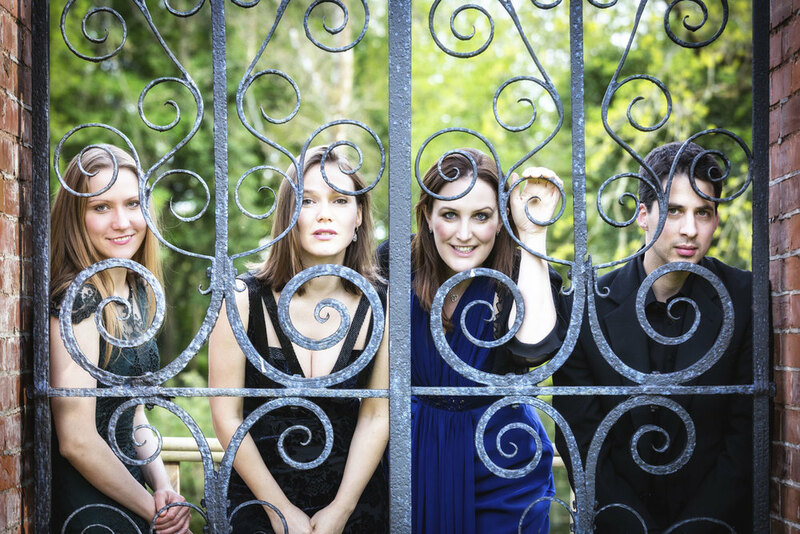 Formed in 2016 by Tamsin Waley-Cohen, Emma Parker (violins), Rosalind Ventris (viola) and Nathaniel Boyd (cello), they have rapidly established themselves in concerts and festivals throughout Europe, as well as involving themselves in educational projects. While their talent has attracted the attention of contemporary composers, both as individual musicians and in quartet, they are well-grounded in the classics of the repertoire, currently recording Dvorak’s quartets. Very recently, Rosalind Ventris has left to pursue her solo career; her place as violist has been taken by Ann Beilby. The programme for Penrith Music Club’s concert will feature two classic quartets. Haydn’s Op.20 no.2 is one of a set of six quartets composed when Haydn was well-established. Typical of Haydn is the sheer bravado of expression; the music flows around and about in a fashion almost ahead of its time and each instrument is given some prominence. The final movement is a tour de force, a fugue which builds to a frantic final climax. Elizabeth Maconchy’s third string quartet, whose starting point clearly bears homage to her teachers, Vaughan Williams and Holst. Given that female composers did not have prominence in the 1930s that they enjoy now, she had a surprisingly prolific career. Her string quartets deserve greater recognition for their drama and lyricism and this one is warmly recommended. The final piece is Beethoven’s ‘Harp’ quartet is no less dramatic. The name is the publisher’s, not Beethoven’s, and refers to the plucked arpeggios in the first movement, which magically brings together at the end the themes previously played. Beethoven’s wilfulness – doing the unexpected – is particularly in evidence in the last movement. Instead of some grand finale we are given a set of delicate variations.